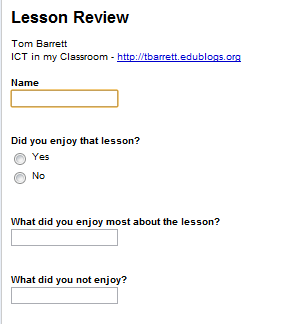 Today's post is about a great work that has been done by our colleague Tom Barret. 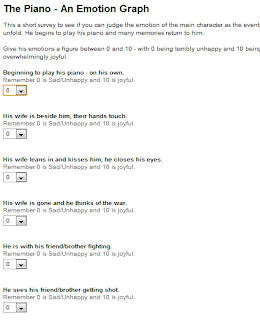 He has created awesome example forms for different topics. 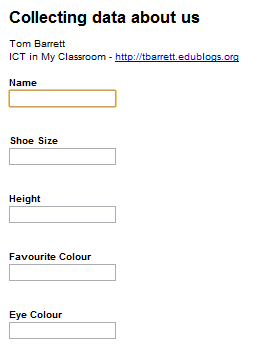 He has also made all these forms available for us to download and use with our students. 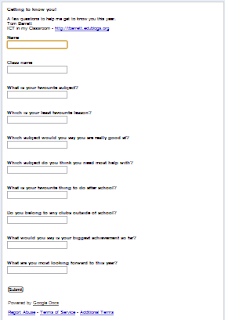 To download any of the forms below, make sure to visit Tom's original post. Use this form to collect information about your students such as their likes, dislikes, club affiliations, and many more. 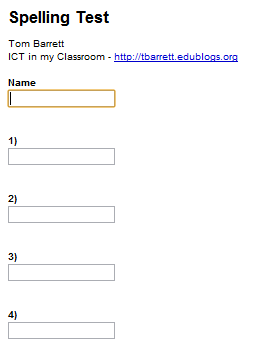 This is a form ideal for use by students when studying linear narrative both written or visual. 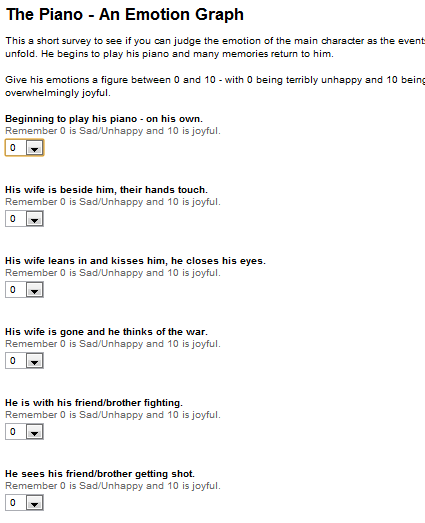 It basically compare a range of happiness to sadness against different points in a story or film. 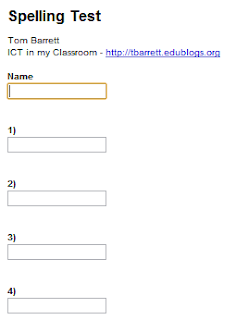 As its name suggests , this form is great for use inside the classroom to test students spelling. 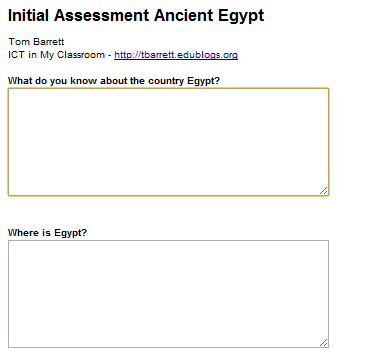 This is a form that test students understanding of a text or anything thing else you want to test. It can be used for multiple purposes. 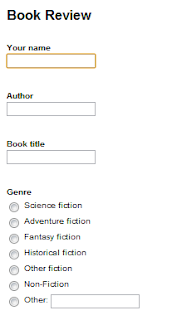 This is a form where students can provide data about their reading. 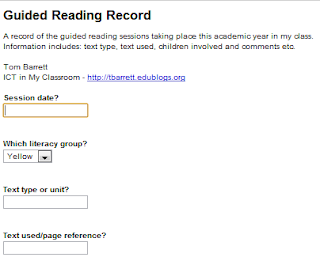 It is like a reading diary that they can use to record informations about their readings. 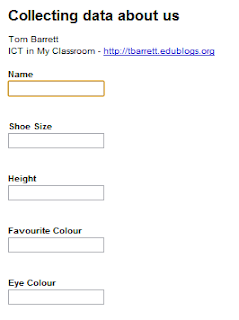 This one of the easiest forms you can use with your students in the classroom to gather Maths data handling information. 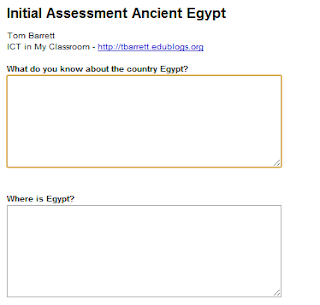 This is another awesome form to record students reading assignments. 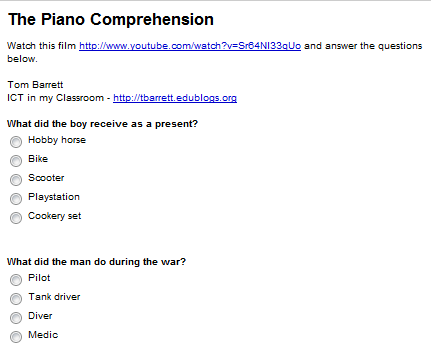 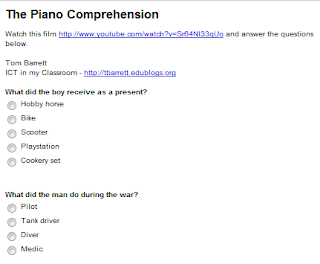 This is a form that can be used to assess what children already know about any given topic that you are beginning. 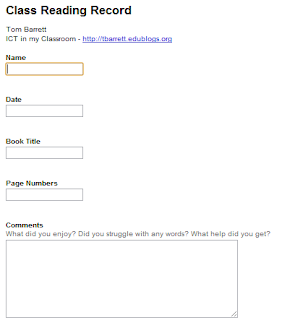 This form could be used to collect the children thoughts about what they read. 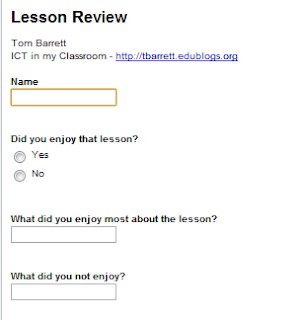 You can use this form to assess the relative success of the learning that has taken place during a single lesson or after a series of lessons on a topic.